Wrap your propane tanks and other gas cylinders in a economy heaters and maximize your gas mileage. Keep gases at optimal temperatures and reduce waste. Enhance performance and increase efficiency. Everyone knows when working with gases, each gas has its sweet spot. In a liquid propane (LP) tank for example, part of the volume is occupied by liquid and part is occupied by gas. The pressure of the gas is governed by the temperature of the liquid. 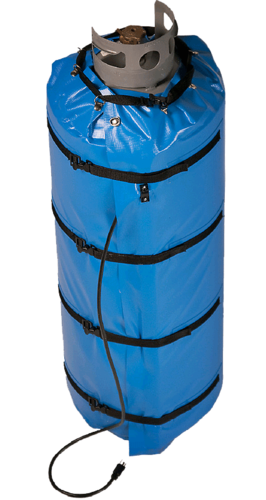 EEC GCW Gas Cylinder Warmers help heat and insulate propane to achieve maximum safe output.